Good Vibrations makes it clear from the very beginning where it stands on the Troubles – horrified non-participation. Hooley simply ignores it, having fallen out with all his political friends who have split to join divergent paramilitary groups. Hooley’s mission is to bring people back together through music – something that is taken a little too literally in an awkward scene in which Hooley makes peace with his old friends by handing them a pile of free records – rather than reach some kind of political or social calm. This is fair enough, obviously, since the film is more about a man trying to bring punk to Belfast. However, the film grows entirely unconvincing by its conclusion. 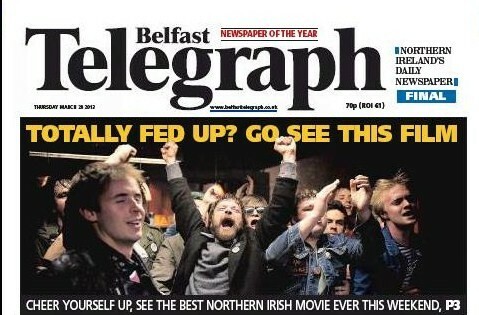 The Belfast Telegraph has declared that Good Vibrations is the best Northern Irish film ever made. This, I think, is unfair. 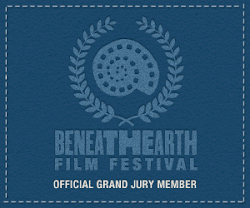 Leaving aside the loose definition of what constitutes a Northern Irish film - since its budget and locations come from both sides of the border – this declaration gives the film too much praise. It makes the film appear to be something it isn’t. Surely the “greatest” Northern Irish film ever made should be more than just a cheeky little pop movie – it should be a film that says something profound or important about Northern Ireland itself. To digress briefly, two Irish documentaries produced years ago provide a good comparative example: one, Mise Eire, celebrated the successful revolutions that brought independence to most of Ireland; the other, Rocky Road to Dublin, criticized Ireland for its stagnation since independence, claiming that the legacy of the heroes of the past was just as guilty as the Catholic Church, lacklustre politicians and rampant state censorship for a country stuck in the past. Sadly, Good Vibrations is Mise Eire’s fictional Northern brother, a celebration of a country that is still broken. With gleeful, optimistic denial, Good Vibrations ends with a note saying that the Troubles are now over and ignores that Northern Ireland is still divided and deeply sectarian. The film becomes a politician-and-tourist-board-friendly film that gives Northern Ireland and its people, whatever race or creed, the big pat on the back that it does not yet deserve. Obviously, it is silly to watch Good Vibrations and expect a cogent political assessment of the here and now, but it remains part of an irritating trend in Northern Ireland of celebrating small achievements and ignoring big failures, of assuming everything is all right despite today’s widespread protests and the dissident violence that has not yet gone away. Having said that, Good Vibrations is undeniably a feel-good movie. Dormer’s plucky performance – it’s hard to remember him playing a heavy in last year’s Jump - makes the whole thing thoroughly likable and the film’s mood, one of sorrow and horror at the violence and yet retaining a deliberate, almost oppositional, sense of fun, is recognisable. The sequence in which “Teenage Kicks” is finally played is note-perfect and almost brings a tear to the eye. The helicopter-spotlight as super trouper idea makes for one of the movie’s most memorable moments. Though the directors, Glenn Leyburn and Lisa Barros D’Sa, do play around with the imagery a little too much, a failing that made their previous debut feature Cherrybomb such a palpably shallow experience, they show a real talent in their use of music. However, the film’s greatest weakness is a threadbare plot in the film’s second half when things get more serious and the profane cheerfulness of the humour that is so recognisably Belfast disappears. The film isn’t consistently funny and yet seems impatient with the more dramatic moments – Jodie Whittaker, playing Hooley’s wife, has a non-part that requires her to unsuccessfully try to put manners on Hooley and then disappear. By the time the film ends with a concert in the Ulster Hall, it has over-romanticised its subject into fantasy. Good Vibrations is a sign that Northern Ireland will begin producing films regularly, rather than the fits and starts that saw something as great as Peacefire come and go. Who doesn’t want a healthy domestic cinema and, in time, a masterpiece even? 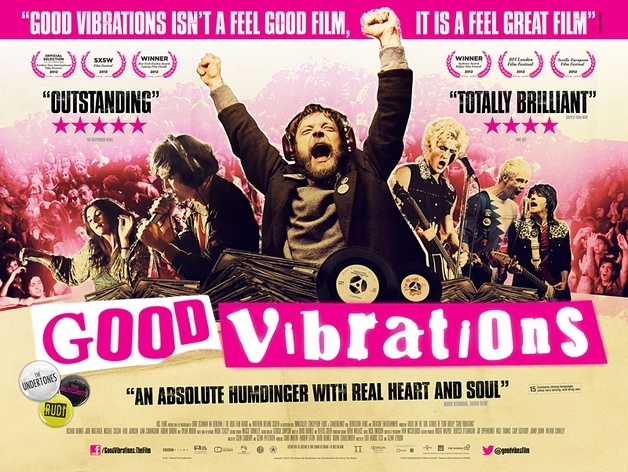 Good Vibrations is a lot of fun and has two or three rather moving moments, but it is nonetheless a film that gives a country a pat on the back when what it really needs is a kick up the arse.